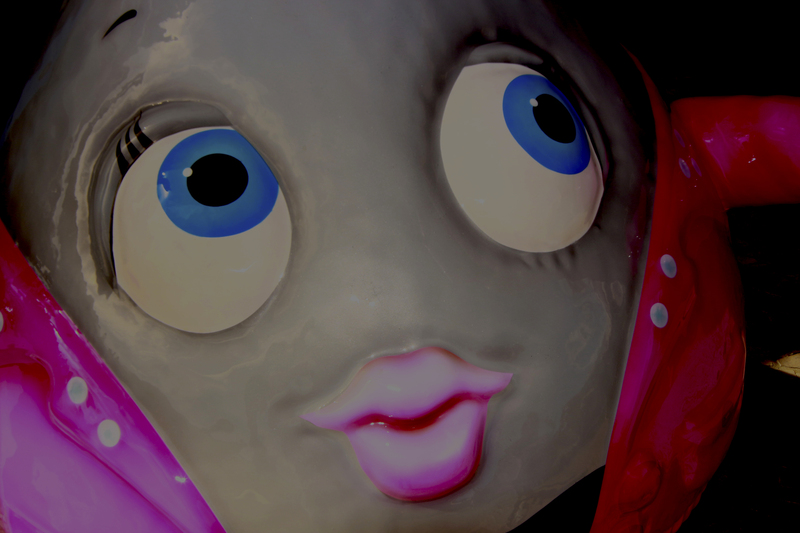 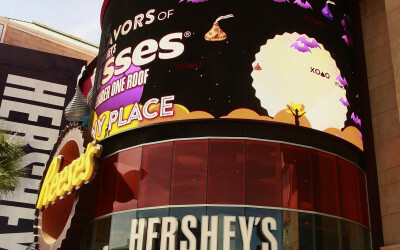 Located at the New York-New York Casino in Las Vegas, Nevada. 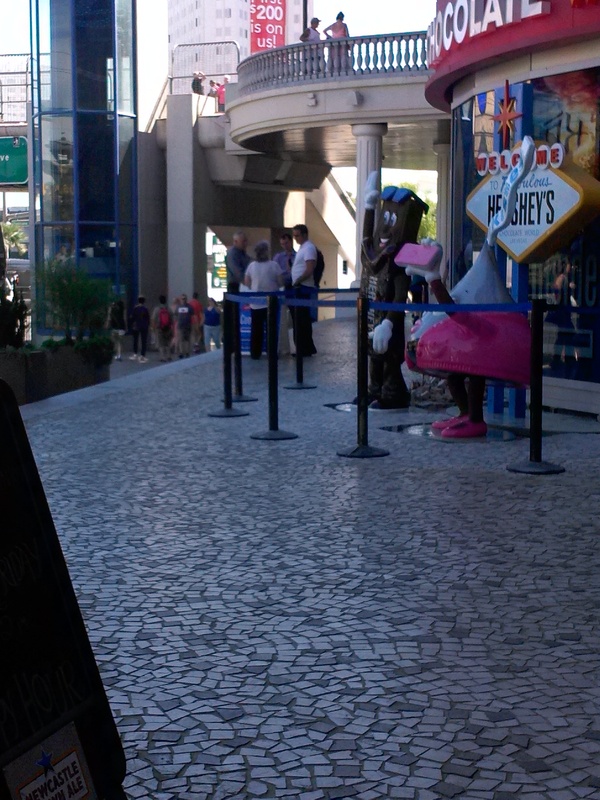 WGC had to do this one! 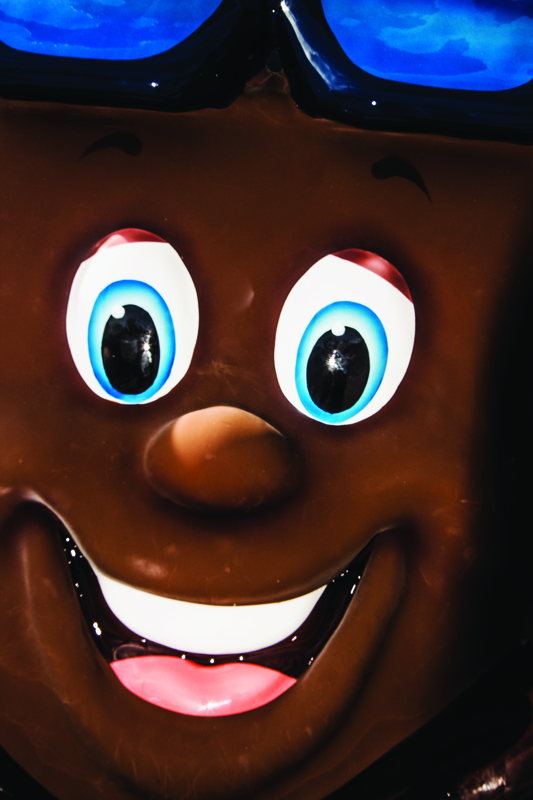 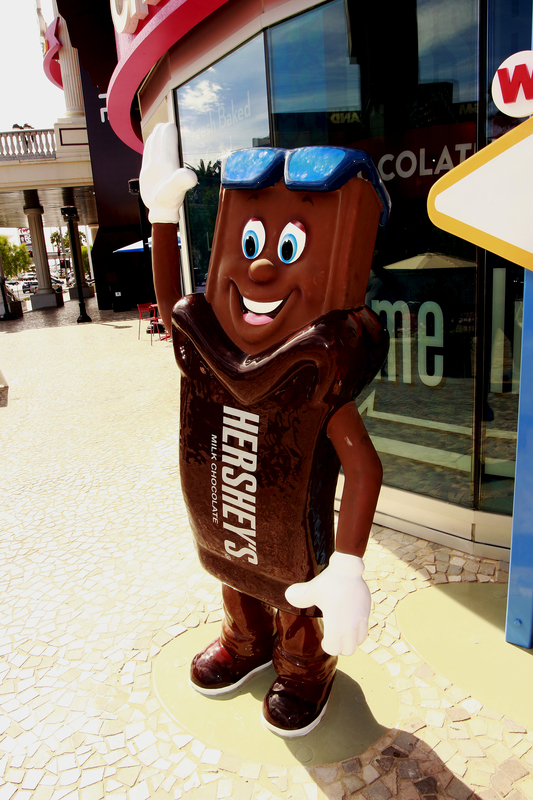 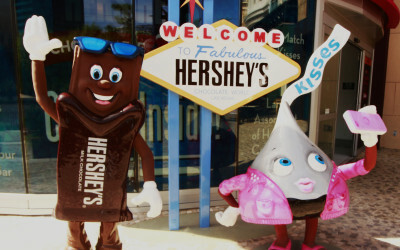 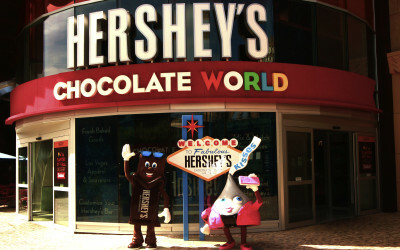 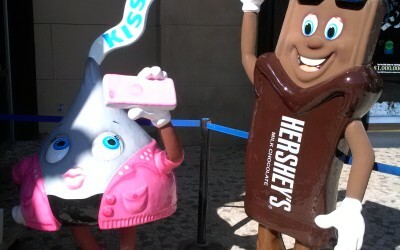 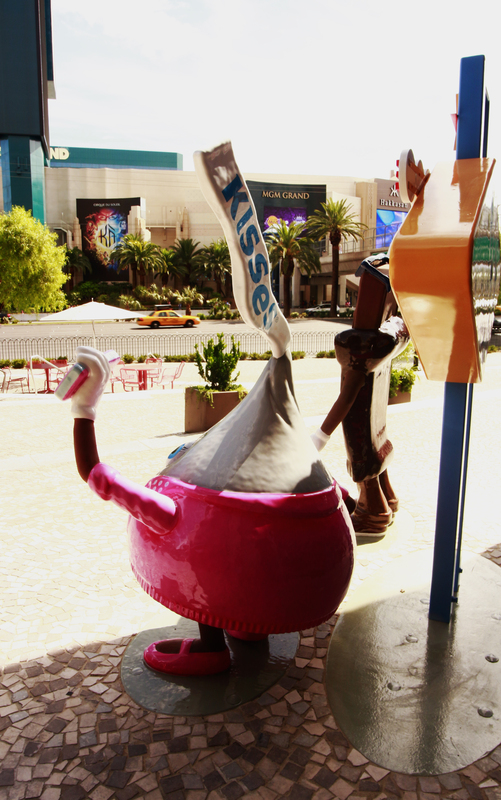 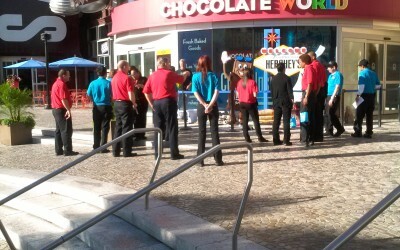 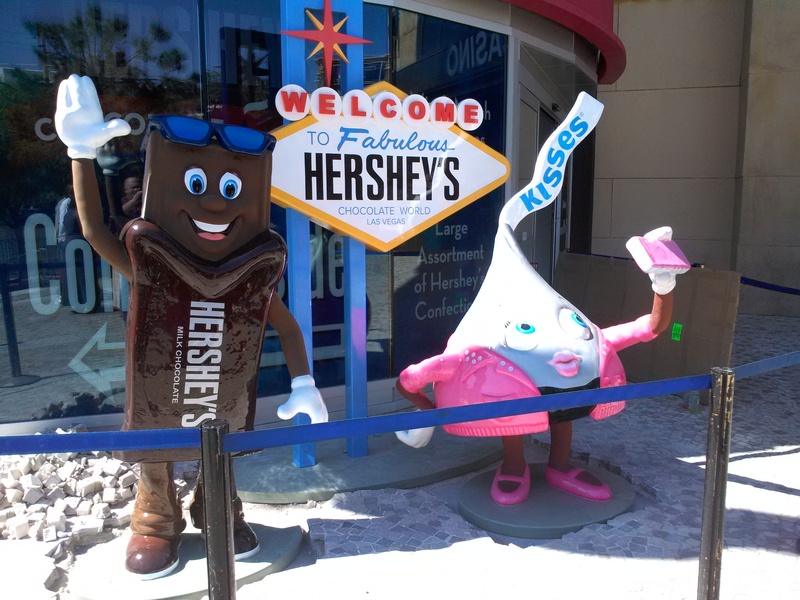 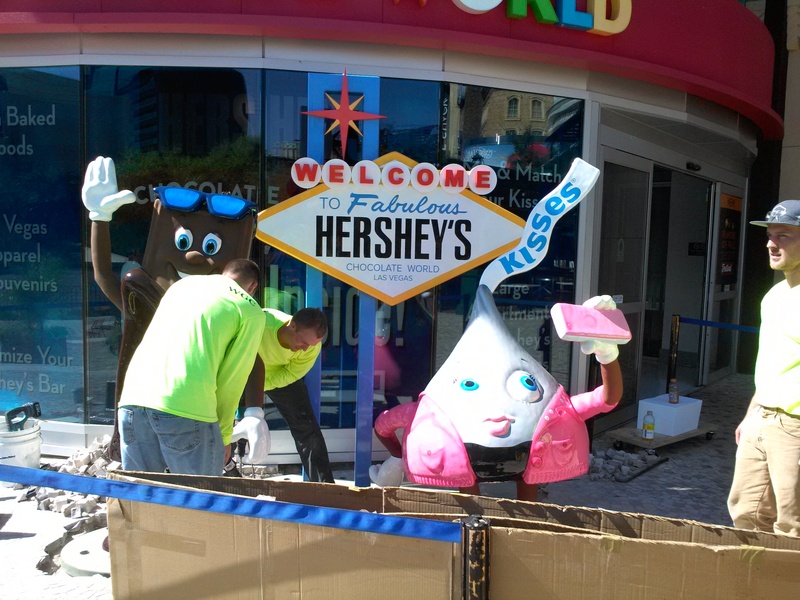 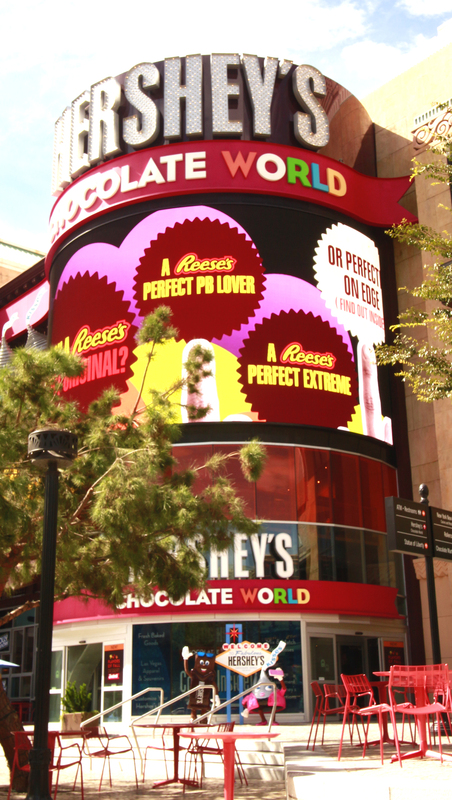 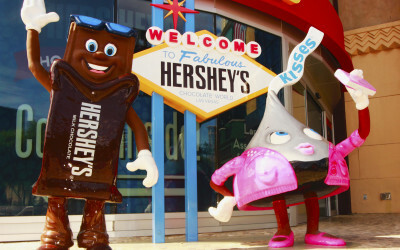 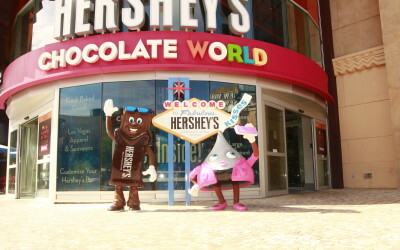 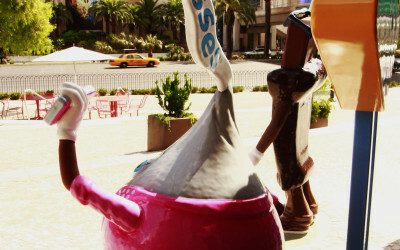 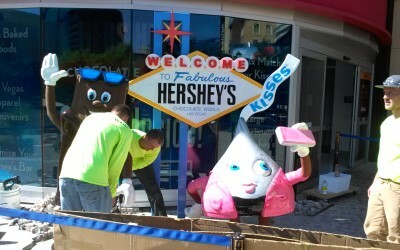 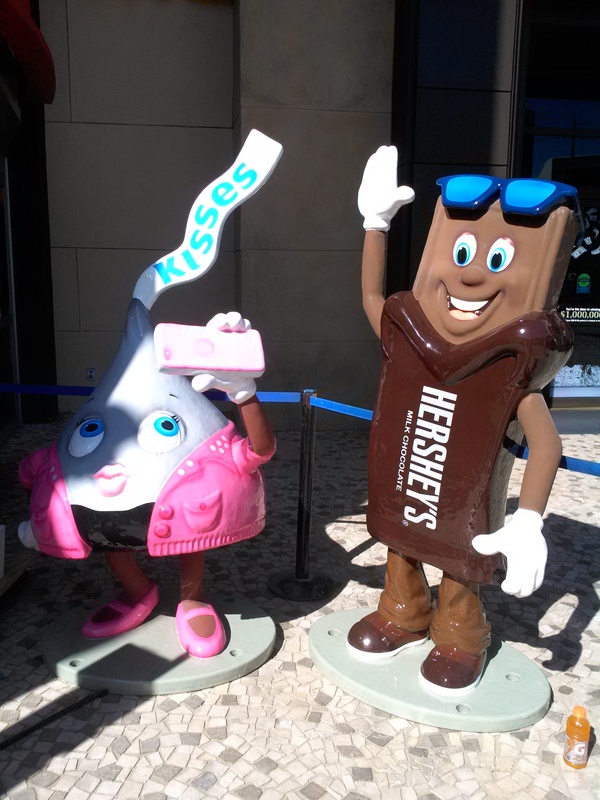 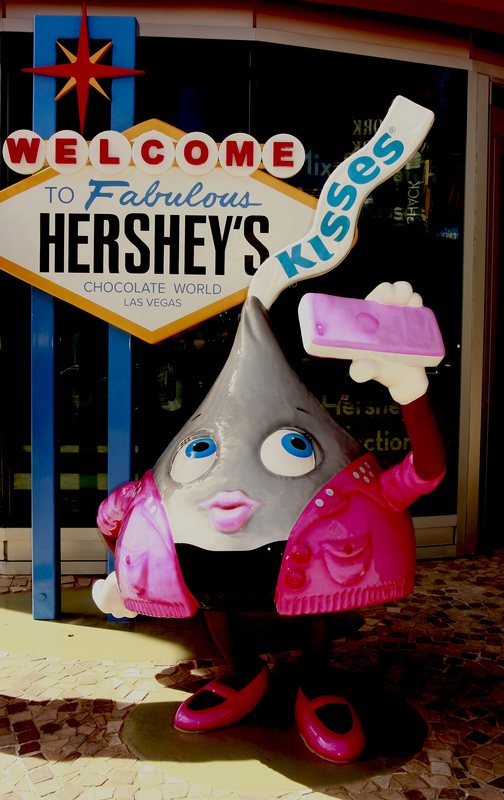 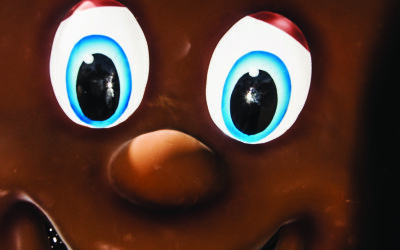 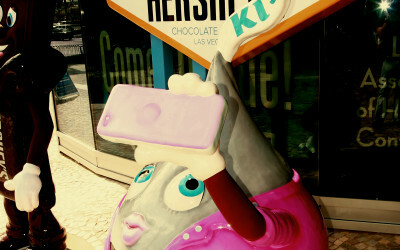 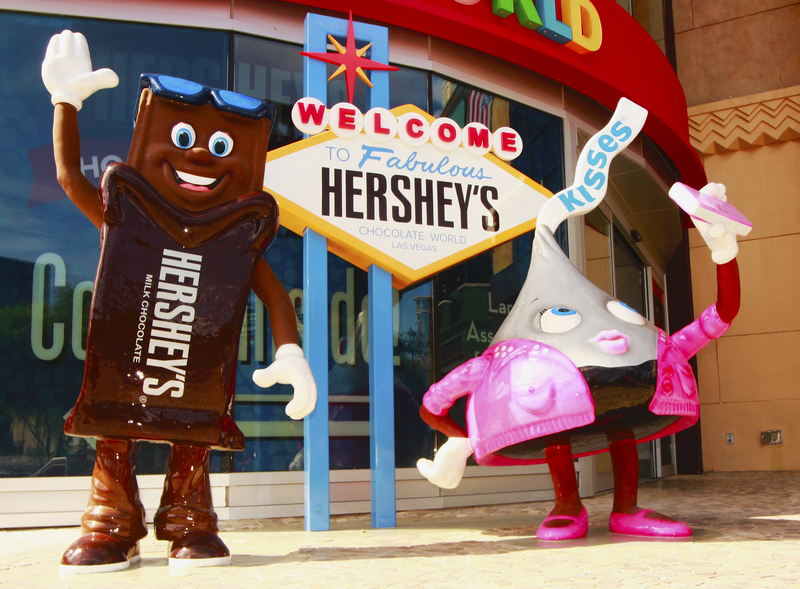 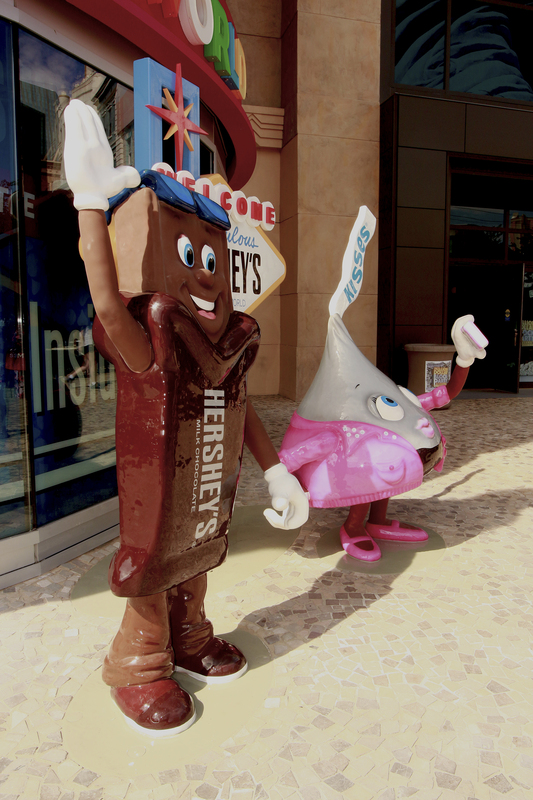 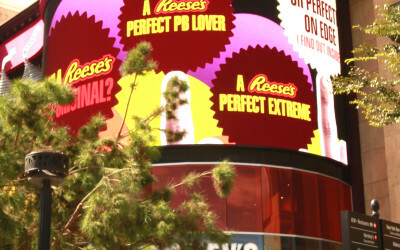 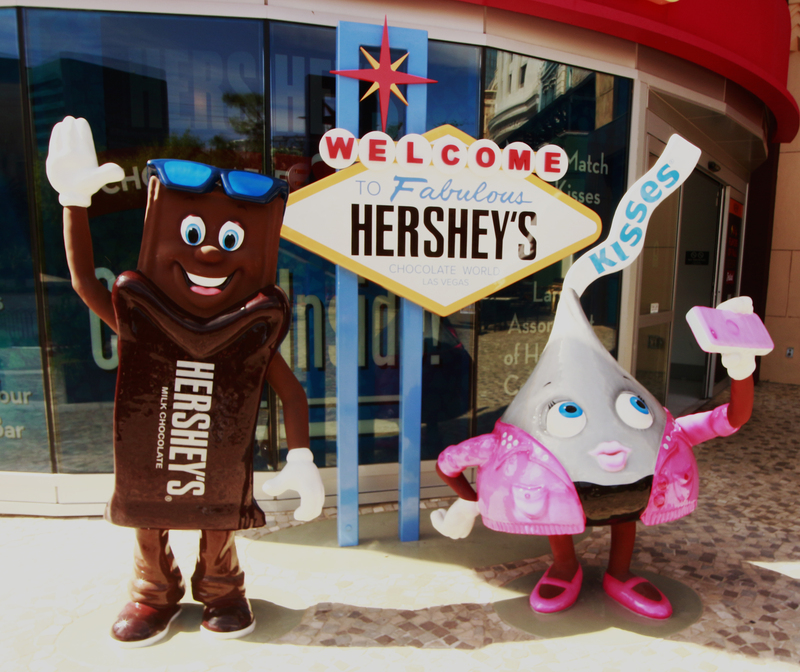 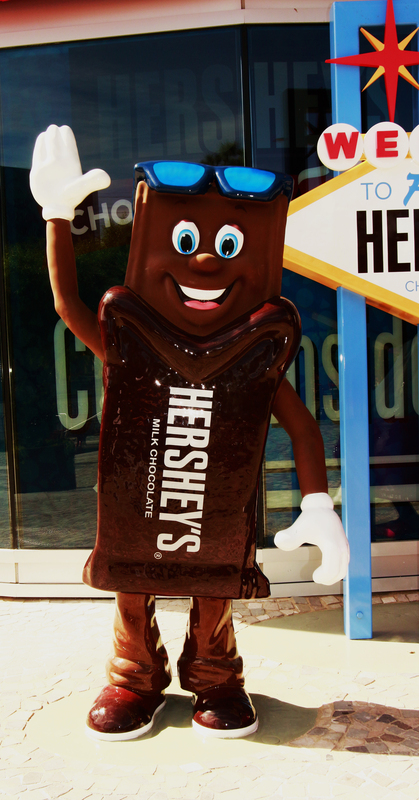 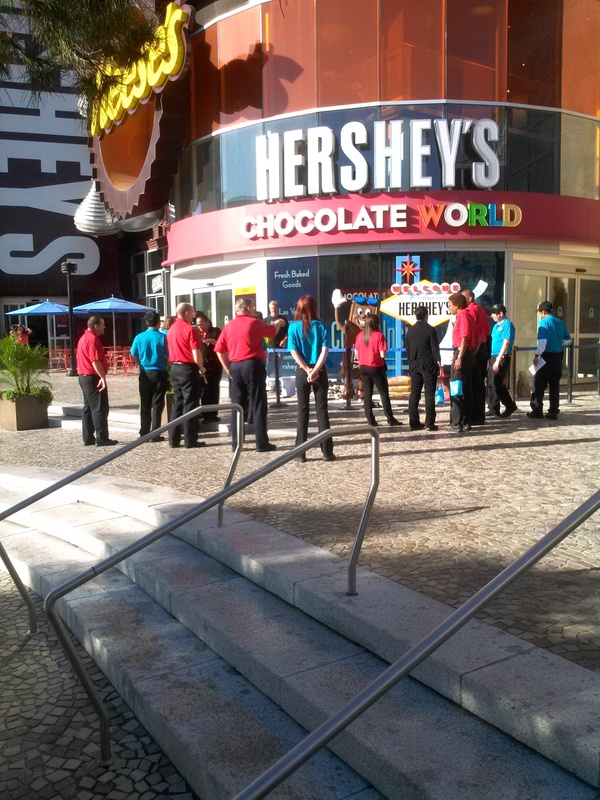 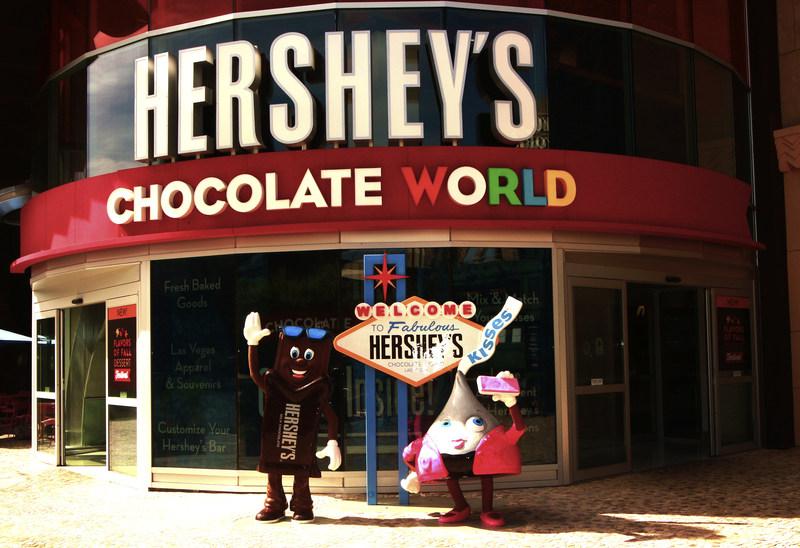 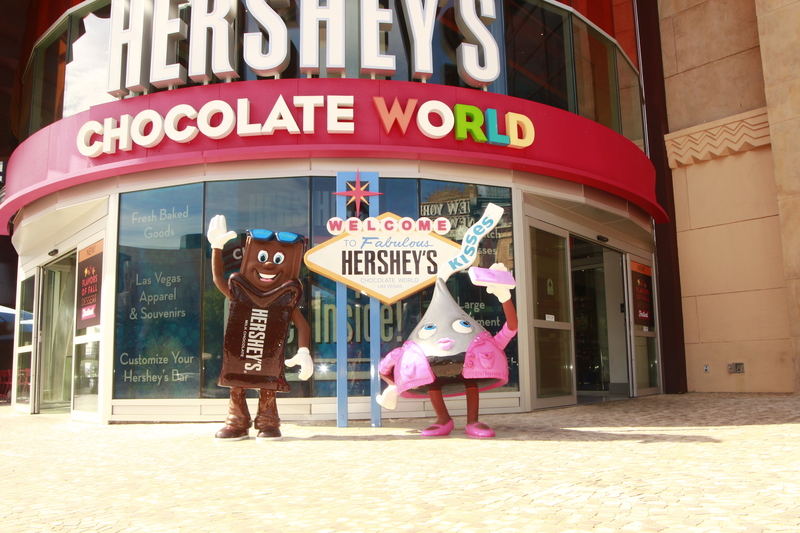 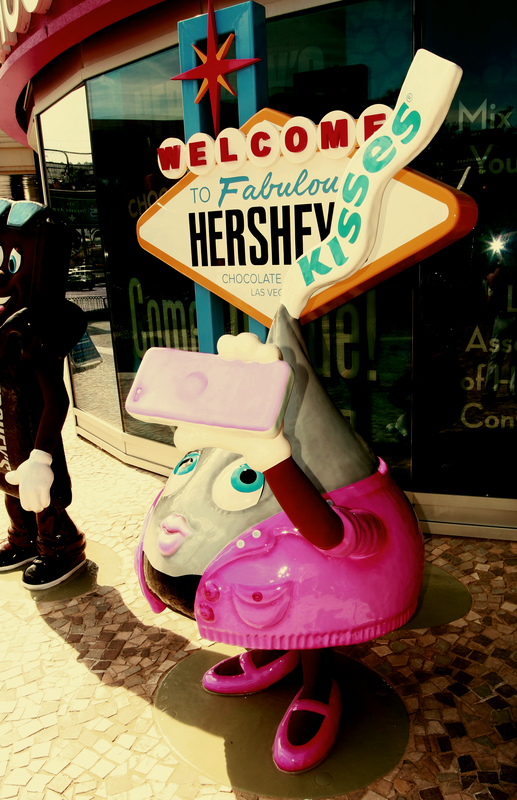 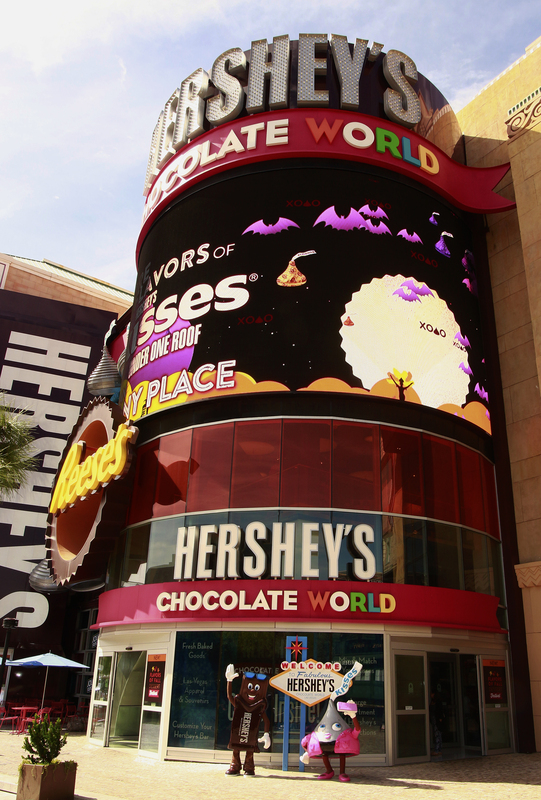 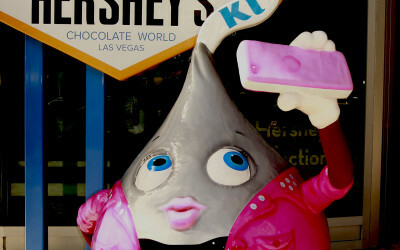 Our team got to Welcome Miss Kiss, and Mr. Hershey’s Bar to Las Vegas. 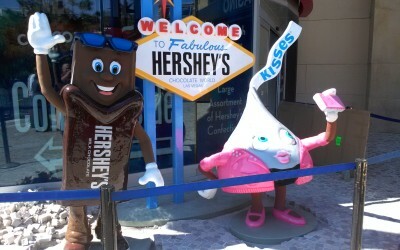 Complete with their very own Welcome Sign! 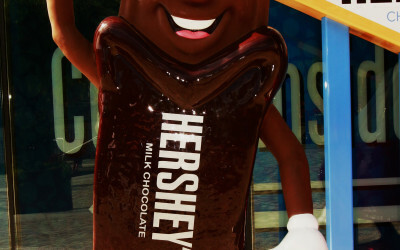 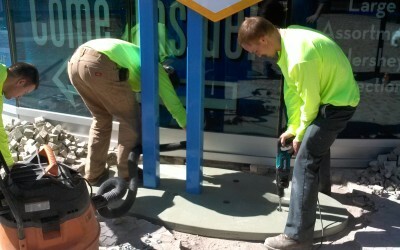 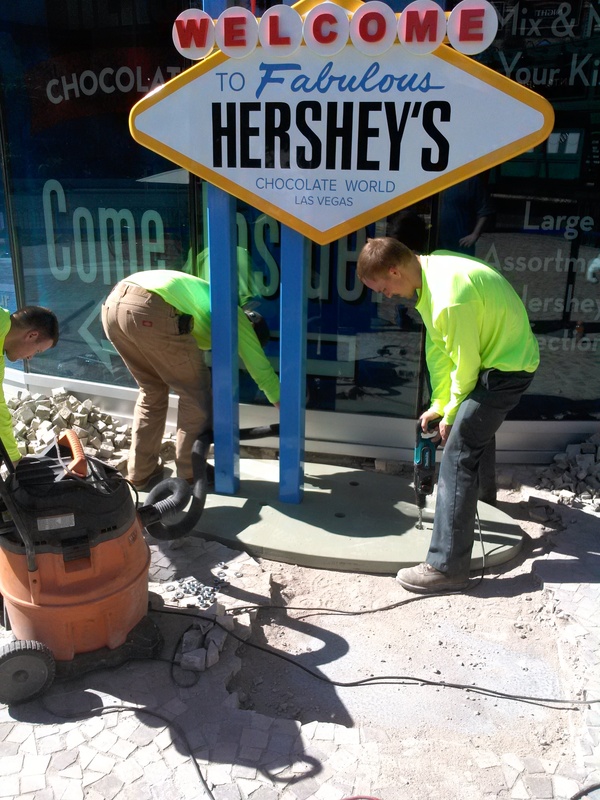 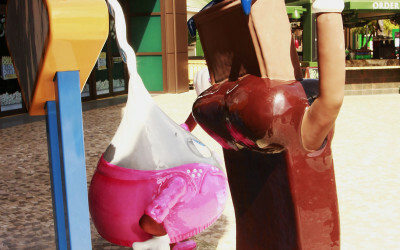 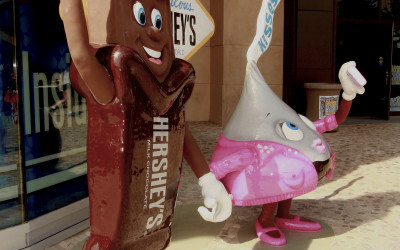 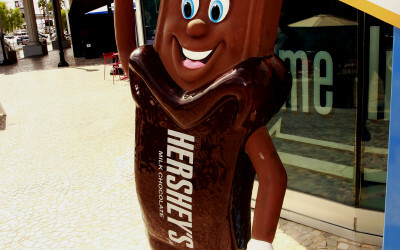 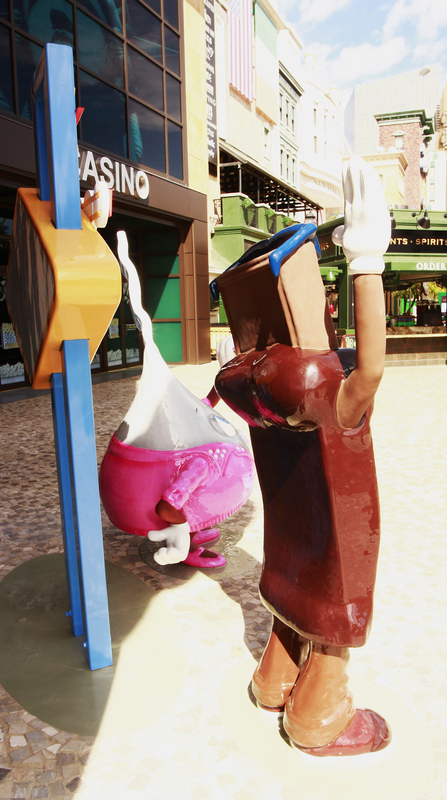 After taking the couple for a stroll thru the New York New York Casino, WGC carefully placed them in their final and permanent home, right in front of the Hershey’s Store located in New York New York.